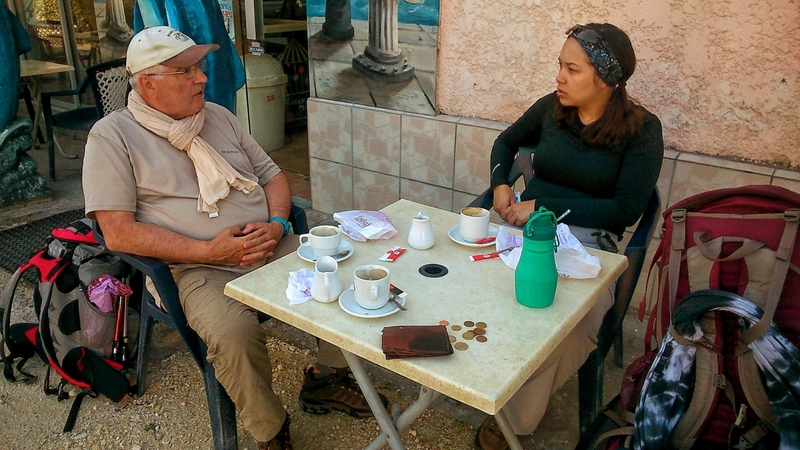 Day 40, 08:30 – Le Barp | Starsway - The unforgettable walk! After 1.200 km the first walking pilgrims, I met. Alain from Paris and Eva from Quebec. Both started the day before in Bordeaux, he lost his wife last year and intended to do the Camino in steps, this year trying to reach Roncesvalles. Her…, I don´t know, she wanted to reach Santiago but I have my doubts. I met both in the municipal albergue in Le Barp. Walked some km with them in the morning but had to leave them, this was definitely not my speed.